Thatched roofed houses at Nagakubo Juku (長久保宿), Nagano Prefecture. It is located in the present-day town of Nagawa (長和町). The two-story house on the left is the waki-honjin (脇本陣), the house with the kabukimon (冠木門) gate the honjin (本陣). 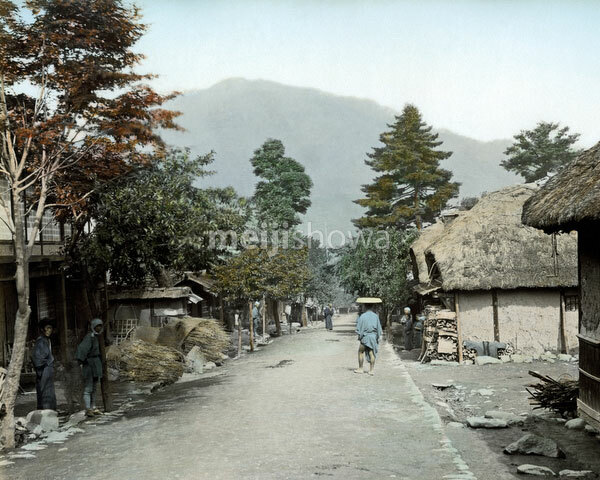 The town was the twenty-seventh of the sixty-nine shukueki (way stations) of the Nakasendo, one of the two routes that connected Edo (modern-day Tokyo) to Kyoto.